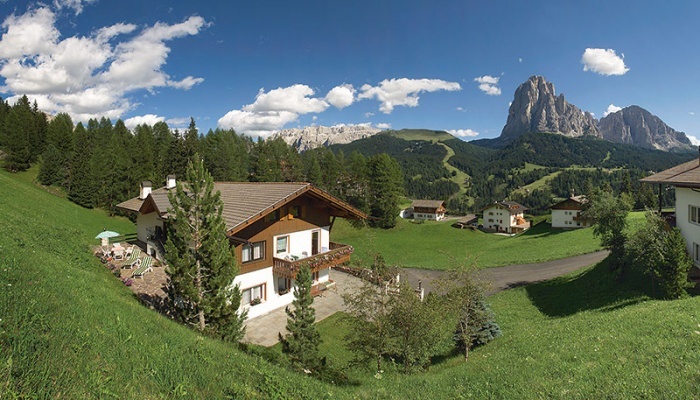 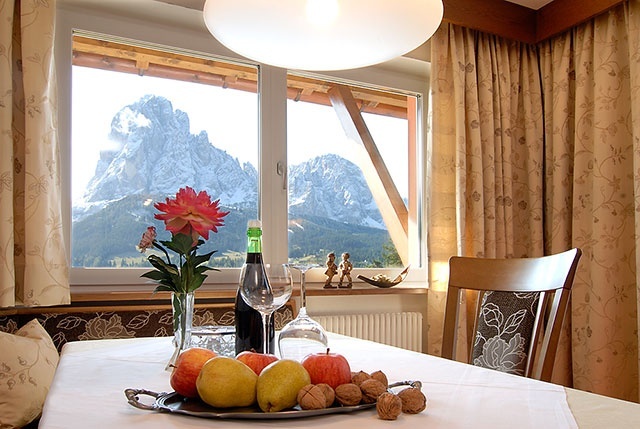 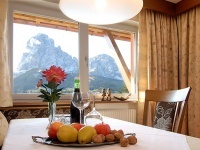 Located in a sun-spoilt, quiet part of the picturesque village S.Cristina, our apartments are the ideal choice if you are looking for a holiday filled with peace, tranquillity, relaxation and nature at the heart of the Dolomites. 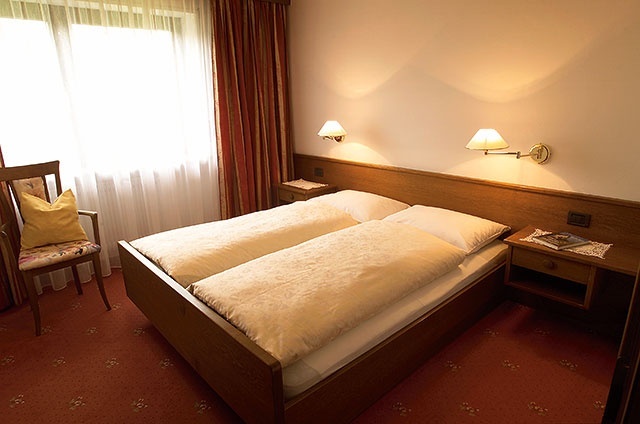 Our house is all about that special cosy atmosphere which is sure to make you feel at home at once. 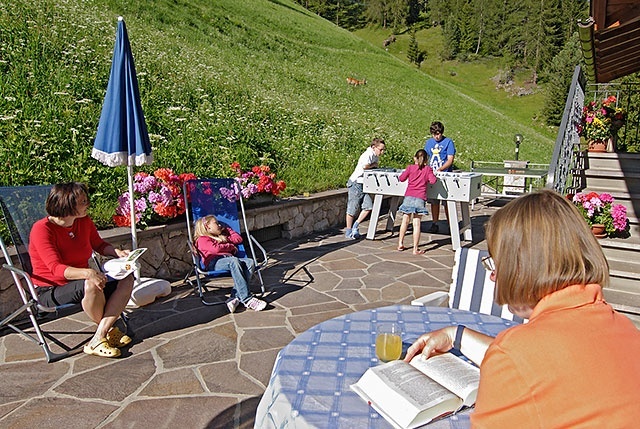 Unwind and soak in the sun on our terrace or sunbathing lawn while taking in some of the unique views of the impressive Sassolungo mountain massif, one of the true marvels of the Dolomites. 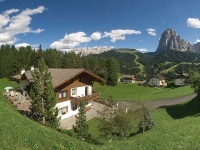 We are a member of " Val Gardena Active ". 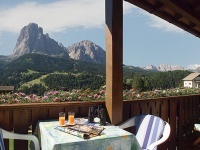 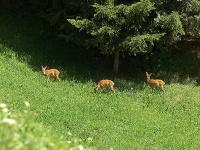 which offers a number of irresistible activities in S.Cristina. 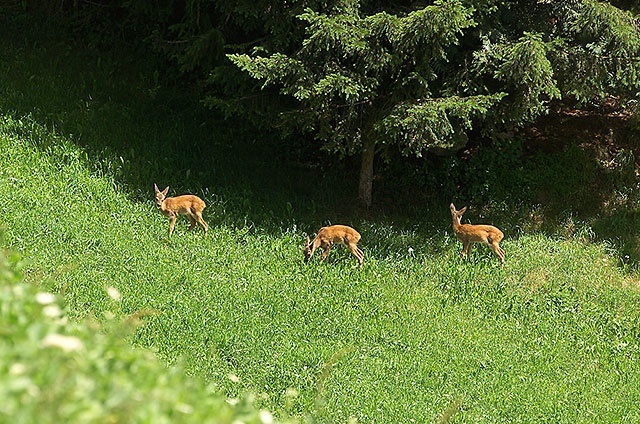 The Gardena valley boasts a never-ending choice of hiking options. 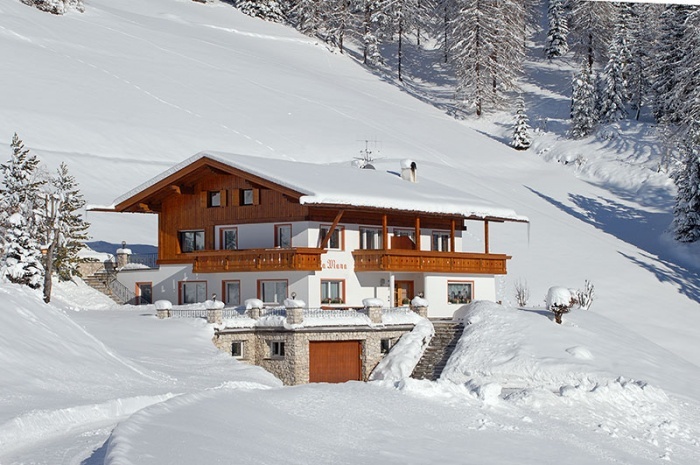 Many of the trails lead directly past our house to fascinating sights like the pretty St.Jakob chapel. 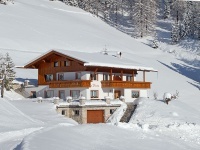 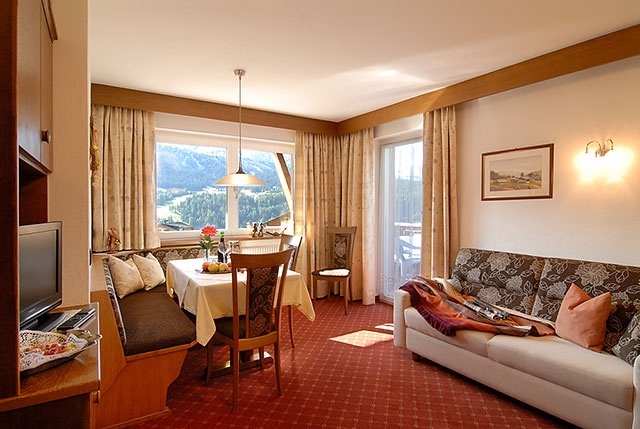 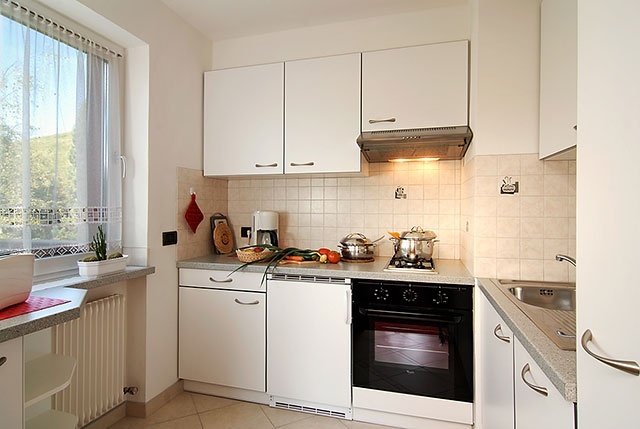 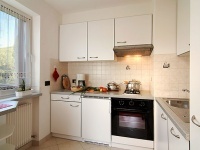 A ski deposit room and a ski boot driers are also available for our guests.